Three dead after head-on collision in Makueni – Kenyatta University TV (KUTV). All Rights Reserved. 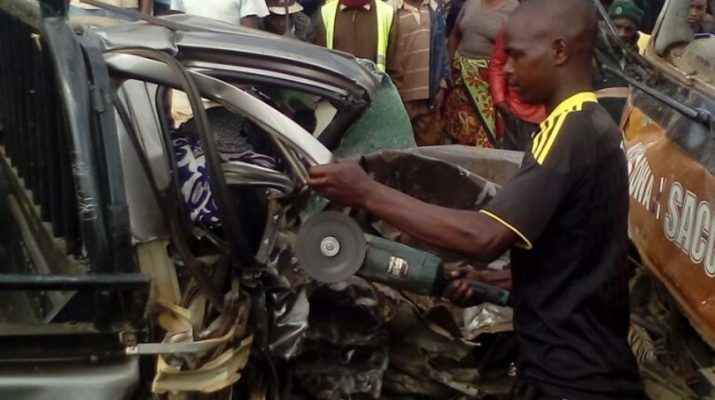 Three people died on Wednesday after a matatu and a pick-up collided on Tawa-Wote road, Makueni county.The matatu was on its way to Mbumbuni from Tawa while the pick-up was headed in the opposite direction. Mbooni East OCPD Peter Njeru said the driver of the pick-up died at the scene.He said the other two, including a secondary school teacher, died at Tawa hospital. The bodies were taken to the facility’s mortuary.